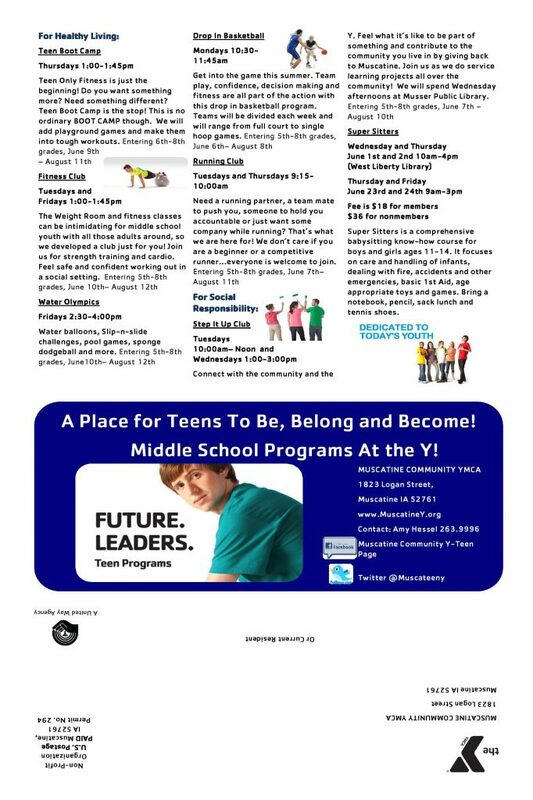 5th-8th graders can be busy this summer, hanging out the at Y. 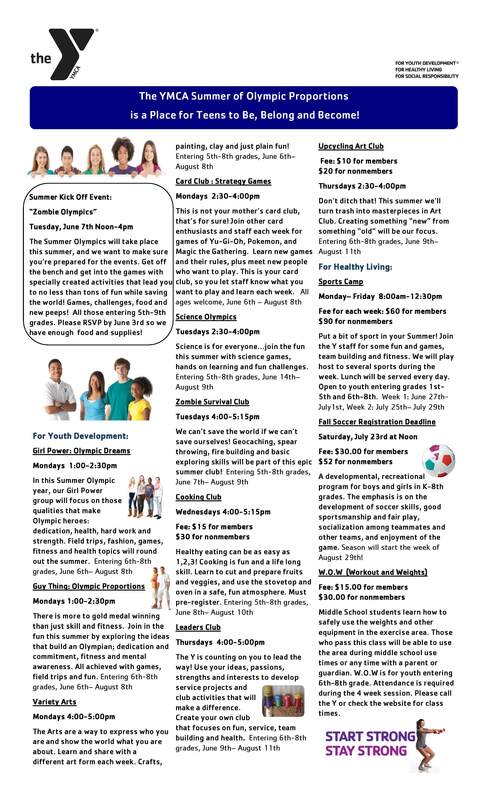 There will be programs for girls and boys, science clubs, card club, Teen Leaders and more. June 7th from Noon-4pm is the Zombie Olympics Kickoff Event.